Deedee's Digis: Still feeling Love or ready for something else? 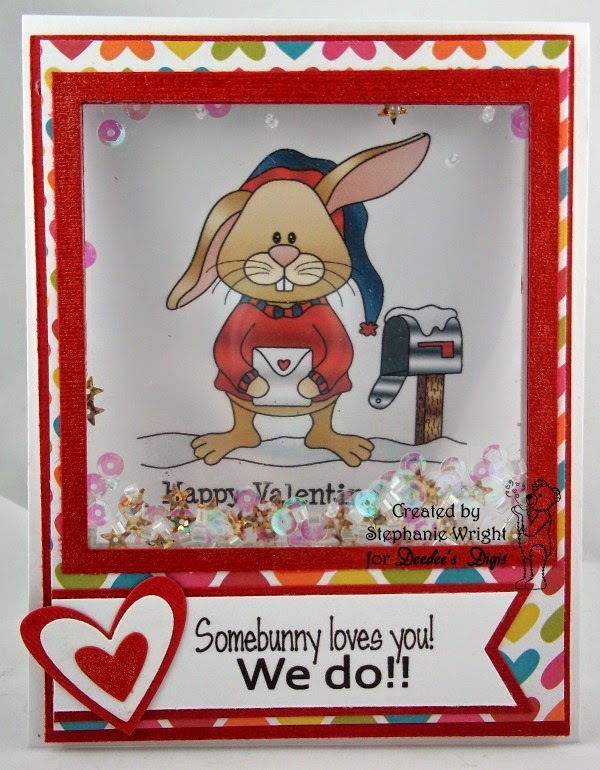 Are you still in the mood to make "love" cards? 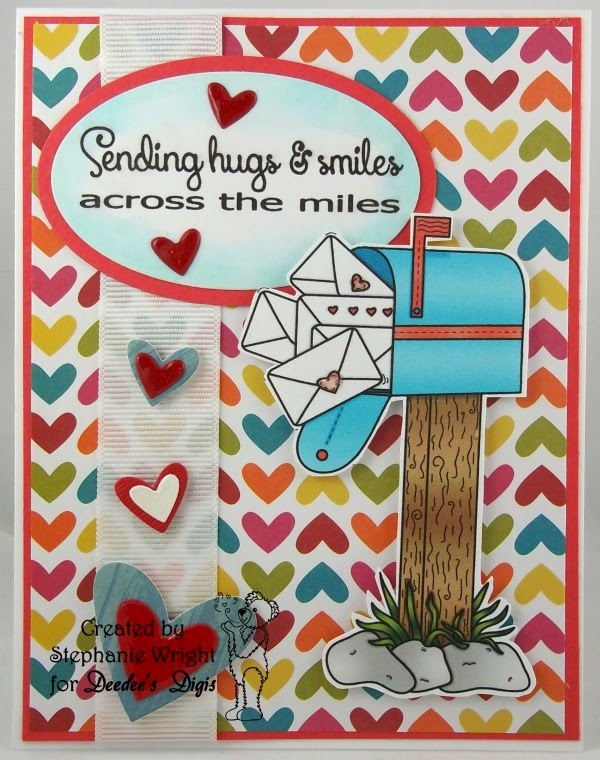 If so the Outlawz Greeting Challenge with the theme of Love will be perfect for you to play along with this week. Steph had a few Valentine cards she still needed to make so this challenge was easy for her. The first card she made is even a shaker card...pretty cool! I also love the rainbow color of hearts....must ask her where she got that paper! If you were like me I was so over "love" cards since I made several Valentine Cards for the guys at work. Thankful the challenge is also allowing a color challenge (Red, Pink and White) for us who weren't inspired to make "love" cards. Man I struggled with just trying to keep it to those three colors for the majority of the card. The first card I did using Meowy Christmas is nothing what I would of done normally but was trying to keep it with those colors....which I slacked on the white but thought it would work. Then I realized I forgot the "greeting" which is what the Outlawz Greeting Challenge is all about!! So I went back to the craft table and created the ornamental card with all three colors and a sentiment! So are you still in the mood to create about "love" or you ready to challenge yourself with a color challenge? Love to see what you make. Some darling cards both "love" and others. I think it is time to celebrate other holidays now.